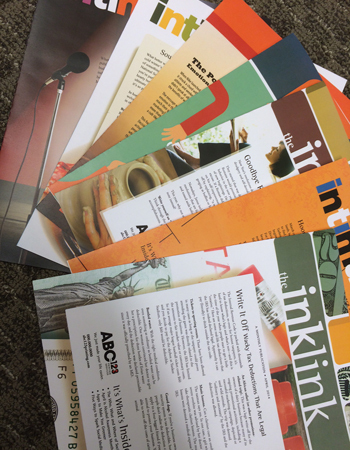 We believe every one has a unique story to tell and a printed newsletter is the best way to do it. Newsletters are a valuable keystone for your marketing plans. We'll help you with design & layout to communicate with your regulars, people new to your organization or customer list. Printed Newsletters are also a great way to introduce yourselves to prospects. Your Print Ready files can quickly be printed & folded - Simply send your files to us via www.siggraf.com for a no hassle file transfer experience. Just click on Send A File on our home page to begin. Or, ask for an estimate on our home page to check out budgetary issues. We offer Exceptional Value, Competitive Pricing and On Time delivery along with friendly personal service. Put us to the test - call or visit us today. Crisp clear photos always add visual interest and impact. They show readers who you are and why they should participate. Continuing distribution is a key stone - choose a frequency that fits your organization's calendar and budget. If frequency is greater than quarterly, consider sprinkling in some post cards in quiet months to maintain organizational awareness. Quantities can be 100 - 10,000 depending on your marketing plans. Want help with folding, tabbing & mailing preparation? We offer these services too! We produce a variety of formats & sizes to churches, nonprofits and a variety of businesses - from single sheets to multipage newsletters. We can establish a custom format for you that will make you proud to distribute it.